If you are looking to purchase a hoverboard for yourself, your kids, or a friend but you aren’t sure where to start, we want to help. If you are reading this, then we assume you have already googled hoverboard and some less favorable links have come up like “hoverboard wipeouts” and “hoverboard explosion.” So, let’s address that now. Hoverboards are not inherently dangerous, stuff can go wrong with any toy or mode of transportation resulting in weird accidents or injury. Luckily, since the first hoverboard came out in late 2014, they have become more reliable, safe, and efficient. You won’t really have to worry about any freak accidents but stumbles and falls still occur so ride carefully and at your own risk. There is a variety of things you’ll need to take into consideration before making your purchase. Who is using it? There are hoverboards made just for children and others that are made for anyone. How are they using it? Is your hoverboard just a toy or will it be a legitimate form of transportation? Do you have a budget you are trying to stick to or are you lucky enough to shop without cost being a factor? 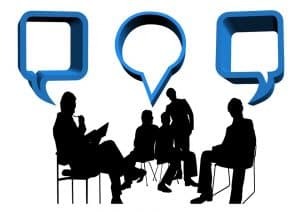 If we have started making you nervous with all this talk about what you need to keep in mind and what can go wrong, don’t worry because we are here to guide you. We will be giving you details about what you need to consider, what some of our favorite hoverboards are, and the additional items that will make your new hoverboard more fun and safe. Hopefully, purchasing your new hoverboard will be a well-educated and worry-free decision that you and your friends will enjoy for years to come. We mentioned briefly before that there were cases of early Chinese hoverboards spontaneously combusting, but those days are over. Nowadays if you’re equipped with the proper safety gear, then riding your hoverboard is about as safe as skateboarding or learning how to ride a bike. As for external safety equipment we will discuss that more later, because for now we will discuss the safety features hoverboards have built into them. Since there are no brand-name hoverboards many varieties have been issued a UL safety rating. The UL 2272 safety standard evaluates electrical and fire-safety based on a series of tests, but it is important to remember that this doesn’t cover rider safety, performance, or reliability. To benefit the safety of the rider some hoverboards include a learning mode that may restrict or control speed allowing you to better focus on balancing. Other boards feature easy-stop technology for when the battery gets drained, rather than stopping abruptly some will roll to a stop to avoid flinging the rider off. Every hoverboard will have cautions on the package or board itself recommending supervision, helmets, or other padding. Remember that learning how to use a hoverboard will come with time and practice so it is important to be careful and realistic, you will probably have at least a few stumbles. Every hoverboard is different and so is every manufacturers definition of waterproof. Water-resistant is not waterproof, water resistant can withstand a specified amount of water without breaking. Waterproof can often be submerged and currently there aren’t any hoverboards that are truly waterproof, so keep that board away from the pool, bathtub, or any other standing water. Most hoverboards will say what amount of water they can withstand so ensure that you are reading carefully especially if you intend to use the hoverboard for transportation instead of just play. Most of the time a hoverboard that gets wet will stop working without creating a potential hazard, but it is still important to look for safety certifications to avoid any accidents. IP ratings are given to most products that can be advertised as water resistant but ensure that you know what each rating means. Light rain, mist, and sprays should be okay but don’t go cruising through deep puddles. If you are riding the hoverboard for transportation purposes, you need to read about where the manufacturer says you can take it. Larger wheels typically mean your board will still be maneuverable on uneven surfaces, grass patches, or sand. The length of your board will affect it maneuverability, so you must select a shorter boarding if you’re on sidewalks with sharp turns and corners. These factors will be less important if your hoverboard is just for play not transport but you must keep in mind what the board is made of. Typically, frames will be plastic or metal but either way you’ll want to make sure its durable enough to withstand the scrapes and scratches it may sustain while the rider is learning. Hoverboards come in a variety of prices ranging from one hundred dollars to about eight hundred dollars. When purchasing a hoverboard, it is important to remember that you’ll probably be buying additional accessories with your purchase as well so save room in your budget. Make sure that you don’t sacrifice quality for a low price or else your board may not last as long it should. In no way are we saying you should go buy the most expensive board on the list but make sure you decide what you want your board to have since additional features will typically drive the cost. There isn’t much variation when it comes to what a hoverboard can be equipped with, however, some will have extra lights or music capabilities that can give you a better overall experience but be warned, these boards can occasionally cut corners elsewhere. On some hoverboards you can control and modify the lights with your phone to improve the overall aesthetics. Fully loaded hoverboards can have built-in USB speakers that will play music as you ride. All these added features will drive costs so make sure you decide what is important to you before making a purchase based on bells and whistles. Hoverboards can attain a wide range of speeds that is affected by their motor, weight, and what other modes or features it has. Every hoverboard has a different top speed since each motor is a little different. When you are learning, you will want to avoid running the board at top speeds because taking a spill at 2 miles per hour hurts a lot less than falling at 8 miles per hour. Learning how to control the speed while balancing is a challenge for some individuals which is why certain boards include a learning mode that will handle the speed for you. Overall if you’re purchasing a hoverboard to get somewhere, you may prefer higher speeds than someone who is purchasing it as a gift for their child. How much the hoverboard weighs will greatly impact the way you use it. If you live on the third-floor apartment, you may not want to lug your 36-pound hoverboard downstairs every day to ride it to class. Boards that are too light and petite may feel less stable to the rider or could compromise the hoverboard’s maneuverability. The weight of the board isn’t the only thing you need to consider, but rider weight is very important to who can use the board. Many boards have a weight limit, so it is important to get one that will hold enough weight to function properly no matter who the rider is on it. Exceeding the weight limit can damage the boards frame, function, and could greatly decrease its lifespan. So now, you already know the things you need to consider before you purchase a hoverboard. If you have an idea of what you want to do with your new hoverboard, then you are already off to a great start. If there are certain features your hoverboard must have, then you may have to compromise on other parts of your board. Whatever you are looking for with your hoverboard, we are hoping that some of the ones we have tested out may be just right for you. We will be providing candid reviews about all the ones we tried out, we’ll tell you what we liked and what could have been better. We hope that by the end of these reviews, you have found a hoverboard that you love. Even if you don’t find the hoverboard of your dreams in our reviews, we hope that they’ll give you a solid foundation to find the one that best fits your needs. We tested out the Epikgo Sports Plus Hoverboard and were truly amazed. This hoverboard is a piece of personal transportation equipment that is sturdy and feels as if it could withstand anything. This board has passed 160 safety tests and received a UL2271 certification for its LG Smart battery. This battery allows it to travel 12 miles on a single charge. The Epikgo has dual 400-watt motors that allow this board to manage slopes as high as 30 degrees. The massive tires are IP56 certified for water resistance allowing it to move through sand and mud. 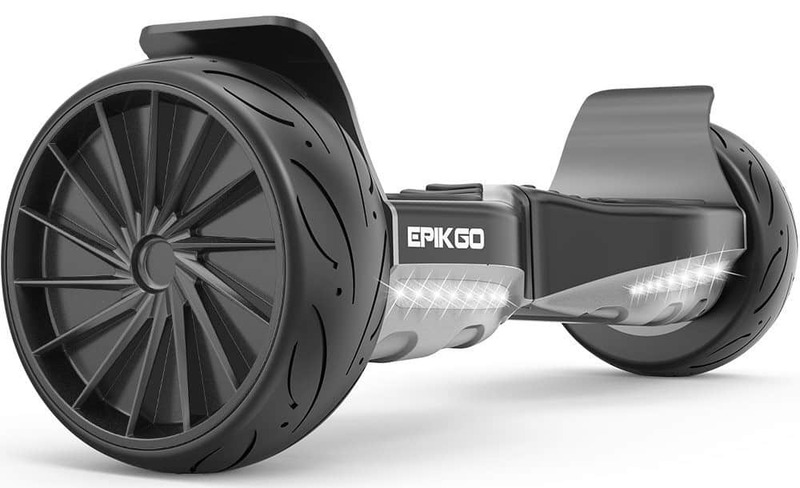 The Epikgo Sports Plus is 30% larger and twice as powerful as other boards to give a comfier ride. The hoverboard has Bluetooth and built-in speakers and comes with a one-year warranty. Due to its massive size and fantastically sturdy wheels this board is much heavier many other hoverboards on the market. At 31-pounds it is bearable but awkward and difficult to carry and you will want to purchase the carrying bag for sure. Since this board is the top of the line hoverboard that we tested out, it unfortunately comes with a top of the line price. We do appreciate the built-in Bluetooth speakers, but we really wish that they were a lot louder, especially when we were riding alongside the road. The charging time leaves a lot to be desired taking three hours and fifty-two minutes to finish, but when the board is fully charged it holds onto it well and works for a while. Even though the board costs a pretty penny it is worth every dollar to us. While it is a pretty penny this board has serious longevity, we know people who have had this board for the same amount of time that some of us have been through three different ones. When you buy a board intending to use it for personal transportation you need a hoverboard that’s heavy duty like the Epikgo Sport Plus. Overall, if you want a sturdy board that will last longer and maneuver through more terrain than any other we recommend you invest in the Epikgo Sport Plus Hoverboard. The Tomoloo LED Hoverboard has passed numerous certifications to ensure their hoverboards are made with top quality materials for a mid-level price. This hoverboard has 8-inch solid tires allowing for 30% more space, more stable riding, and better aesthetics. This board allows for a smooth and stable ride and can hold up to 265-pounds without compromising its ride quality. You can ride up to 9.3 miles on a single 3-hour charge. The Tomoloo board can climb angles up to twenty-degrees. The functionality of this hoverboard is not its only selling feature since it comes with headlights, taillights, and ambient light. The dual 5-watt Bluetooth speakers, light color, and battery percentage make this board full of features without sacrificing its quality. The smart stabilization feature built into this hoverboard makes it so fantastic to ride even when you are learning. The speakers are super loud which is beyond surprising since it has so many cool features. The app that allows you to change the colors of the light is so cool and doesn’t have many glitches. Another great feature of the app is that it allows you to track your speeds accurately. The larger foot area made us feel very secure when learning how to control the board and the maneuverability was superior. While this board can detect even small shifts in our weight to maintain lower speeds, it can still accelerate at fast speeds. The battery life of this board competes well with other boards and we rode it for an hour and eighteen minutes on end. We mentioned that the app doesn’t have many glitches because we had to uninstall it and reinstall it several times before it would operate without freezing. It took about as long to get the app working as it did to charge the hoverboard for the first time. We have only had a few issues with the app force exiting while in use since then. Another issue we had was the difficulty finding accessories it was compatible with due to its unique shape. While the unique shape is fantastic for maneuverability and better stabilization it does make carrying cases, protective cases, and other accessories very hard to find. Another minor issue we had was that the hoverboard seemed a little warm after use. Not hot to the point where we were worried that the equipment would be damaged but enough for us to remember it in case it got any hotter. The Tomoloo LED Hoverboard is an amazing mid-range board that has all the desirable features you could want in a board with exceptional delivery. There are a few drawbacks with this board but most of the issues we experienced with it were related to some additional features that not everyone would be perturbed by. The unique shape of this board sure does a few drawbacks; however, they are greatly outweighed by the superior stability and the maneuverability this board has. If you’re looking for a hoverboard with all the bells and whistles with a reasonable price, then the Tomoloo LED Hoverboard may be the one for you. The Hoverheart Hoverboard two-wheel self-balancing scooter is a fantastic value hoverboard that comes complete with all the features some expensive competitors have. This board has front and top flashing LED lights with built-in Bluetooth speakers. This hoverboard has 6.5-inch diameter wheels and a plastic cover that’s durable and fireproof across the whole board. The Hoverheart Hoverboard received a UL2272 certification for its safety. The 400-watt motor can propel this hoverboard at speeds up to ten miles per hour. While this board is powerful it only takes 2-3 hours for a full charge and it can hold up to 220-pounds. This board comes in a choice of two colors and is both stylish and functional. This hoverboard will provide you with a smooth ride on concrete, grass, carpet, and any other surface imaginable. This is the best priced hoverboard for all the features it comes with. The wheels aren’t the largest but they’re very secure and good at giving us a smooth ride. While there is no learning mode we find that this board is easier to control than others with a similar sized foot area. The board keeps quiet when we rode no matter how fast and long we used it for, even when the battery was almost drained completely. This board was petite enough for one of our nephews to carry and use but still had enough foot space and strength for us to hop on. The battery charges on this board relatively fast, it took only two hours and eighteen minutes to get a full charge the first time. This board got kind of twitchy on us at first which expected a little since it was more petite and affordable than other boards we typically favored. We hopped off the board when it got too twitchy, powered it down, then five minutes later when we turned it back on the twitchiness had subsided completely. While this more petite board is great for transportation it is a little too small for our foot area making it slightly less easy to control. While this board charged quickly it didn’t hold a charge well dying after forty-eight minutes of continuous use. The Bluetooth speakers were very tinny sounding but they were louder than some of the other boards we tried. Overall the Hoverheart Hoverboard is the best hoverboard you can buy for the money. For a board with 6.5-inch wheels this hoverboard can power through uneven surfaces and slight inclines alike. While the Bluetooth speakers could have more bass, they are loud enough to let you hear your tunes even when your riding it down a bumpy road. We loved this board because of how diverse an audience it can entertain. Children and adults alike will be able to use this hoverboard as a toy or a mode of transportation for short distances. While this board took us a little longer to control with its smaller foot area, once we caught on it was a smooth ride that satisfied our needs. We think this board is the highest quality of its price range and love that it has all the additional features you could ask for in a hoverboard. We tried the Razor Hovertrax 2.0 Hoverboard Self-Balancing Smart Scooter for a few weeks. We will admit that we are at fault for not doing enough research before this purchase. When in the market for a hoverboard on Amazon we saw the Razor Hovertrax for a reasonable price with a rating above four stars and we ordered it. Initially, we were satisfied with our purchase even though we felt quite wobbly and off balance when using it. As we practiced more with our Hovertrax we figured we would become more adept at using it since each board feels a little different. After the first few weeks we felt more confident in our hoverboard skills, however, that didn’t last very long. The Hovertrax 2.0 hoverboard can reach speeds of up to eight miles per hour and boasts a battery life of sixty minutes when in continuous use. The Hovertrax 2.0 automatically levels even before mounting to allow the user ease when stepping onto the board. The surface of the board is decked out with rubber mats for rider comfort and traction. In between the foot areas, the top of the board includes a light-up indicator to show the rider remaining battery life across from the power button. This polymer frame hoverboard is built to withstand 220lbs and has bumpers on the back to protect from scratches. The Hovertrax 2.0 had several well-working features for the first few weeks that made this board enjoyable for us. The Hovertrax is extremely lightweight at less than twenty pounds, making it much easier to carry than other models we have looked at and tried out. The riding time can be extended according to the user manual by switching the battery out, but we never attempted to ride for longer than an hour. The visual appearance of the Hovertrax was one of the most appealing features to us, the LED lights added sleekness to the board. We feel as if the battery life of the Hovertrax 2.0 is horrendously overestimated. By our second week of use we realized that our battery indicator was on low within thirty minutes of starting our ride. While the short battery life was inconvenient, it wasn’t the worst thing about the Hovertrax. Though the board is advertised as being adept at inclines, the Hovertrax would slowly chug along beneath us when going up even a slight hill which was kind of concerning. This hoverboard is a useful child’s toy but, it’s self-balancing feature leaves a lot to be desired, getting quite twitchy at times. Around the sixth week of use the Hovertrax did not hold a charge well enough for us to use it any longer than fifteen minutes at best. Overall, we wouldn’t recommend this board to anybody who expects it to be more than a kid’s toy. While it worked well for the first few weeks, it eventually became unusable to us due to its less than adequate battery life. For the average price tag, we think it should have had a much longer lifespan than the 4-5 weeks of use we got out of it, but it would make a great kid’s toy. This board could become dangerous with how short the battery life is since it dies without warning and jerks to a stop, so if a child will play on it supervise them closely. The warranty for this item does last for six months, but the customer support for this item is hit and miss. We wouldn’t purchase another board from this company expecting anything but a play toy, so you shouldn’t either. We purchased the Epikgo Sport Balance Board Self Balance Scooter for the a substantially large price tag. The overwhelming amount of positive reviews is what really sold us on dropping a large amount of money on this board. This board is advertised as being the most powerful on the market and upon receiving the package it looks like it would be upon first impression. The Epikgo Sport is large in stature and very heavy when compared to the other models available. While carrying it around may be difficult, the board does look to be a quality piece of equipment. The Epikgo Sport has 400-watt dual motors that allow this board to powerfully accelerate up an eighteen-degree incline. The tires that the Epikgo board is equipped with are meant for speed, smoothness, and high traction. Since this board is much larger than other models it boasts more foot space and more control than some of its competitors. The Epikgo also offers speedy charging to minimize the amount of time that you must wait before using it. Not only does the board appear durable and powerful, it is water resistant and has thick rubber mats to maintain connection between your foot and the board. Along the sides of the board are weight sensors that tell the rider if their weight is properly placed. This hoverboard is extremely fast moving and helped get us to class on time even when we were running late, reaching max speeds of ten miles per hour. There are lights alongside the board that indicate when your weight is properly positioned, this is an extremely useful feature for new riders who lack experience like a few of us. The thick rubber mats where we placed our feet were great for traction even in the light rains we typically experienced when taking our board to class. Another great feature of this board is the three-light battery display that indicates about how much battery life is left on the board. While this board is truly the best on the market there are a few features that could be improved upon. The Epikgo Sport weighs a whopping 32 lbs., making it rather hard to carry into class with us on days we take it. The size of this board sacrifices some of its maneuverability to a certain extent. Sharp corners were often hard to manage even at lower speeds when we first started using it, however, this issue lessened the more practice we had. The final and most pressing issue we had with the Epikgo Sport was the battery life. It seemed to me like my board’s battery did not last the length of time advertised, especially as our board aged. We would recommend the Epikgo Sport hoverboard to anyone in the market for a durable and speedy hoverboard. The many positive features outweigh any negative characteristics it has, including its initial lack of maneuverability. The only regret we have is that we did not purchase the hoverboard carrier bag available as a bundle on Amazon, to help us manage the 32 lb. hoverboard better. We appreciate the large foot area of this board that helps us keep our balance, steer better, and feel more secure. We think the Epikgo Sport is worth every penny and agree wholeheartedly with the assertions that it is the best hoverboard on the market. We used the Saga Play F1 Self Balancing Scooter Motorized 2 Wheel Self Hover Balance Board. 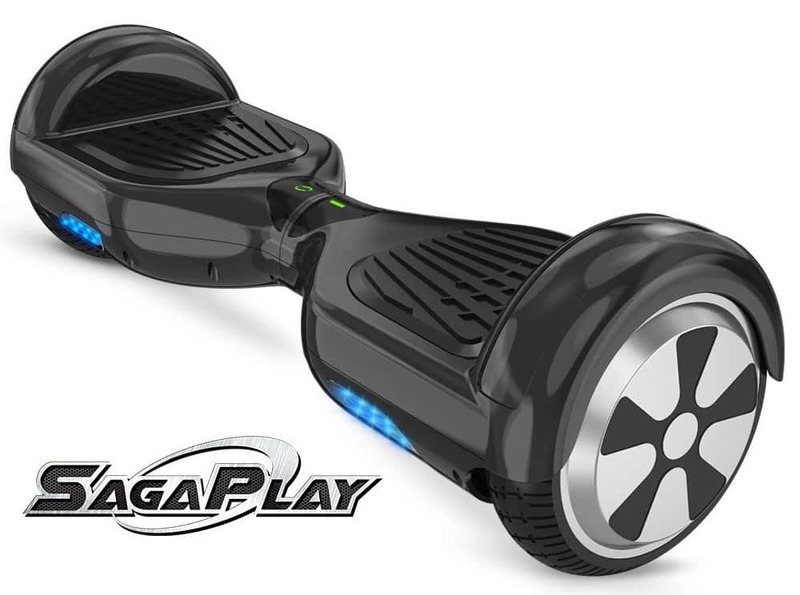 The Saga Play hoverboard is a great product to entertain young adults and older children. While this product is marketed towards older children, we highly recommend adult supervision when any child is using this device, as there is always potential to lose balance. The Saga Play hoverboard is aesthetically pleasing and looks sturdy as if it would hold up quite well when frequently used for long periods of time, upon first impression. This hoverboard features non-slip foot areas for the rider. The packaging of this item boasts its powerful motor that allows the Saga Play hoverboard to adapt to a fifteen-degree incline. The rubber tires of the Saga Play hoverboard are thick and durable to allow frequent indoor and outdoor use, without punctures or excessive wear. The Saga Play hoverboard’s tires are supposedly designed to manage sand and mud, however, I did not have the opportunity to ride mine through this type of terrain. Within the owner’s manual this hoverboard boasts at least an hour of play and the ability to travel up to thirteen miles on a single charge, though, I did not take my hoverboard that far. There are several great features the Saga Play hoverboard that go beyond just the features we read about on the package. The Saga Play hoverboard is surprisingly lightweight for its size. The hoverboard itself only weighs about twenty pounds and was light enough for us to carry down three flights of stairs without feeling too exerted. Another advantage of this hoverboard that we didn’t read about on the package was the relatively bright headlights that are in the front of the board. These headlights are bright enough to illuminate the ground in front of the board to allowing us to ride it even once the sun had already set. A setting called “learning mode” can be activated for younger kids to safely play with the hoverboard, a feature that we greatly appreciated since one of our nephews insisted on trying it out. The first drawback of the Saga Play hoverboard, and probably the most noticeable, is the violent shaking that starts if your posture is incorrect. While we personally didn’t have this issue at first, one of our nephews was on it when it started shaking. Once he got off it, we held the power button for a few seconds and it reset the board correcting the issue. Another downside to this hoverboard was that it was easily scuffed. The plastic that covers the tires got damaged when it got knocked onto its front after losing our balance. Overall, we enjoy using my Saga Play hoverboard, however, if we were in the market for a new one we would choose another brand. While we were thoroughly impressed with many of the features the Saga Play hoverboard boasts, there are a few negative characteristics that leave us wanting more from this board. We paid a hefty price plus tax when purchased from Amazon, and we feel that it was a steep price for some of the issues this board has. We would recommend that anyone looking to purchase a hoverboard opts for a different, less expensive brand due to the flaws this one had. 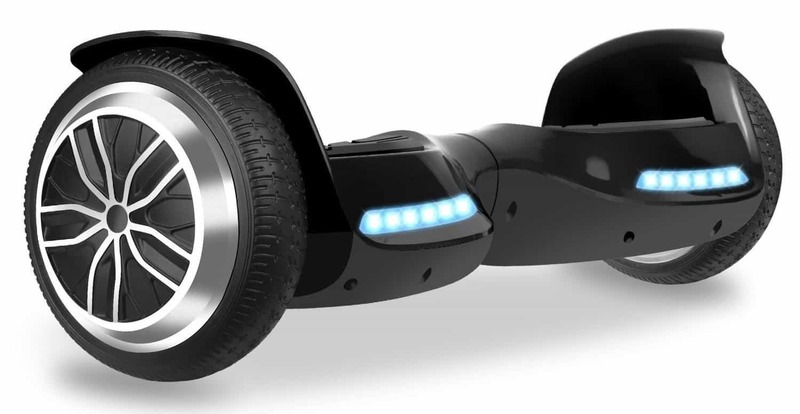 We purchased the Swagtron T1 - UL 2272 Certified Hoverboard - Electric Self-Balancing Scooter. We were so happy when we purchased this board from Amazon because of its affordability and great safety certifications. Initially, we were concerned about the quality of this board due to some less than positive reviews online, however, we have had an overall great experience with this product so far. 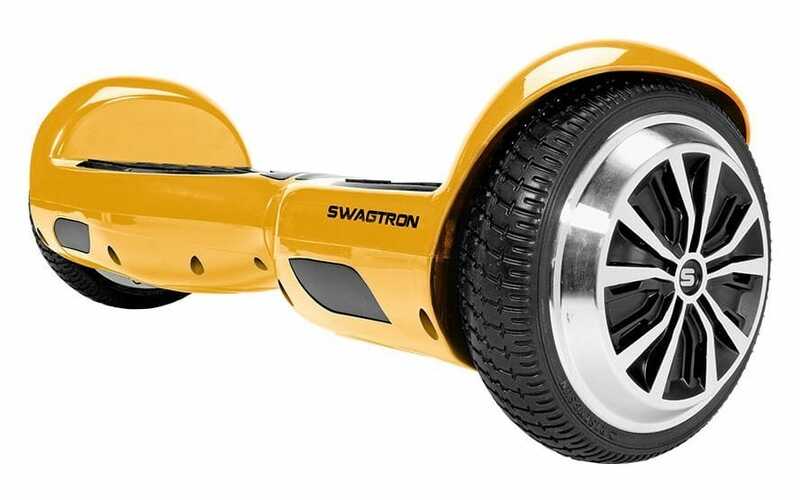 The Swagtron hoverboard boasts some amazing features that we appreciate. This board is affordable and eligible for Amazon Prime, which is what sold us on it. The UL Safety certification sets this board apart from others by giving us peace of mind that the product we are on has passed numerous safety tests. The packaging mentions that this 250-watt motor provides superior traction and control for downhill travel. 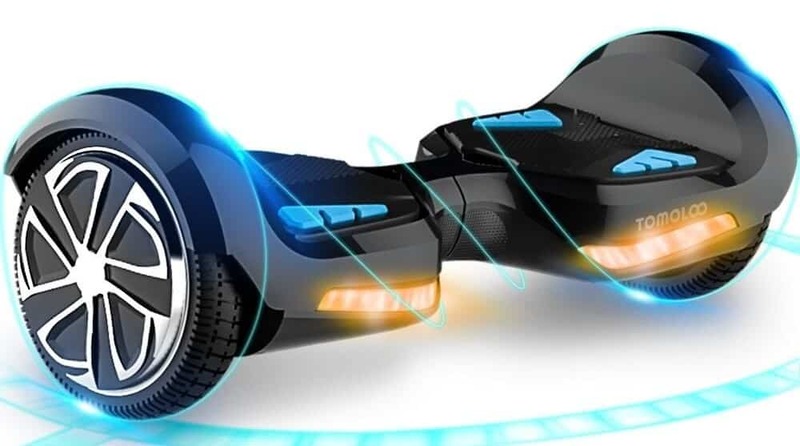 Another feature of this board is the clear indication of remaining battery life to the rider, and its associated easy-stop technology in the chance of an empty battery. This product also includes a one-year warranty which eased my conscience about this purchase. The battery indicator was one of our favorite features, its 5-light display can accurately show you approximately how much battery is remaining for the board. Another feature we read about and had to test for ourselves was the “easy-stop” technology. We let the battery on the board drain completely while we were riding it, surprisingly, once drained the board rolled to a stop, rather than jerking to a stop. As rather uncoordinated individuals, we made great use of the “learning mode,” this device included. The board managed our speed for us as we got more comfortable using it and we appreciate this additional safeguard especially if it was being used by a child. This board was overall impressive but there are a few characteristics that could be improved upon. Our charger broke after a couple of weeks of infrequent use. Our board was out of commission until we got a new charger, unfortunately, customer service was lacking. It took a few weeks for the company to get us a new charger and we had to pay the fee to send back the old charger. After the charger issue was taken care of we finally switched off the learner mode while using the board. To our dismay, after stumbling off the board it cracked right above the left wheel. We were bummed that our board no longer looked pristine, but the crack did not impair functionality. 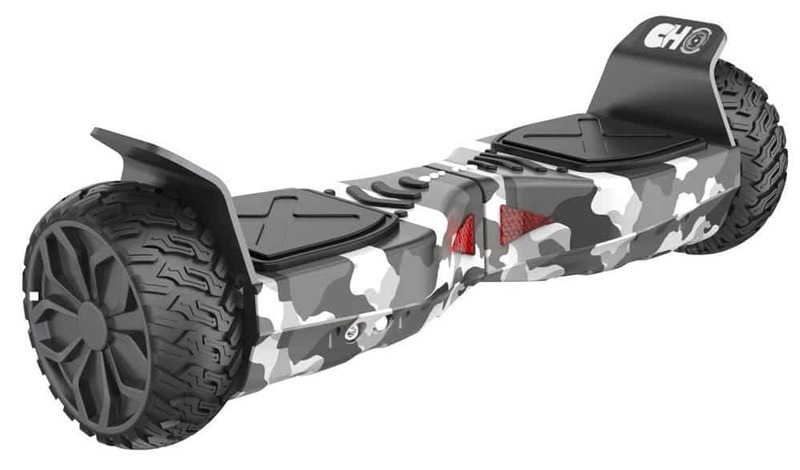 Overall, we love the my Swagtron Hoverboard and disagree with most of the negative reviews it has online. Unfortunately, we did have similar issues others have reported with this board. In our opinion, the positive characteristics of this board outweigh the negatives. The most pressing issue of this product is the customer service department not being attentive. Luckily, once we had my charger repaired we got back to using my board as frequently as possible. we would recommend this product to others but caution them about the fragile charger, plastic wheel wells, and the less than satisfactory customer service. 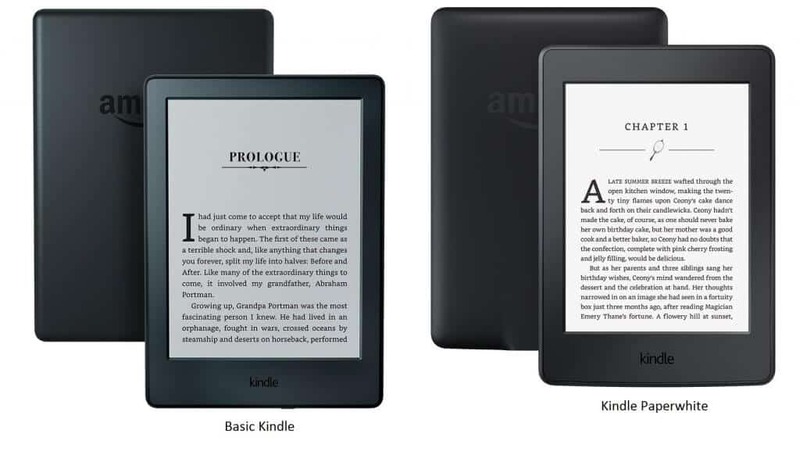 This product was a fantastic value for the reasonable price tag and is most likely comparable to more expensive models. 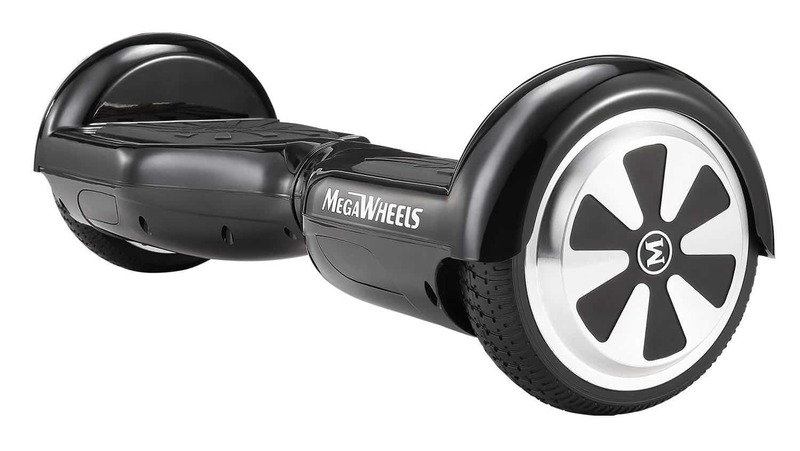 The MegaWheels Self-Balance Hoverboard Scooter is UL2272 certified for electrical safety and fireproof technology. This hoverboard packs the power with a cruising speed of over seven miles per hour with dual 250-watt motors to give you a powerful experience. The 6.5-inch wheels are easy to control and allows them to climb 15-degree inclines. The case is splash-resistant and designed to take an impact to withstand any bumps and bruises that come with riding your board. The frame is equipped with thick slip resistant mats to place your feet on and ensure traction and control. The battery and charger include safeguards from overcharging and over-discharging to ensure the longevity of the board. You can ride this board a full 7.5-miles on a single three-hour charge. The MegaWheels Hoverboard can be used by a diverse group of riders with a weight capacity of about 240-pounds. The MegaWheels Self-Balance Hoverboard was surprisingly easy for use even when we were first learning. The speakers are loud and have good sound quality, especially when we compare it to other speakers on the list. This board is one of the easiest to balance on that we have tested out and gives a smooth rider experience even when we took it from carpet to tile and outside across bumpy roads. MegaWheels customer service was so easy to get in contact when we had questions which is great for anyone who is rough on their stuff or has kids who are. You can use your board right out of the box without waiting for it to charge which is fantastic for anyone gifting this to their kids or if you are impatient like us. After riding it for about thirty minutes after three weeks of using it consistently we had a red light turn on and we couldn’t find any information on it since we threw the box away. After reaching out to MegaWheels they told us how to recalibrate the board and it hasn’t happened again since. The battery would have lasted us a lot longer than the 59-minute lifespan if you could turn off the Bluetooth. Be careful when riding this board until it dies because it literally jerks to a stop which sent one of us stumbling off the board. The frame cracked very easily and while it didn’t impair the performance the board ended up looking less sleek than before. Our only other complaint was that the lights on the front of the board aren’t real bright, you will not be able to see if you’re riding outside long after the sun has set. We enjoyed using the MegaWheels Self-Balance Hoverboard Scooter because it was super fun and ready to go right out of the box. While it did have a few drawbacks like the less than durable frame and dim headlights all the positives of this board outweigh the cons. We recommend this board to anyone looking for a hoverboard that is sturdy enough to hold a 242-pound person while still sensitive enough to respond to the slight movements of a five-foot slender girl. We would highly recommend protecting this board with a silicon case to prevent injury to the delicate frame. Overall the MegaWheels Self-Balance Hoverboard Scooter is a fantastic investment for the price. The Otto Two Wheel Hoverboard is a UL2272 certified board that had to pass 159 tests to ensure overheat-protection, low battery protection, minimum weight protection, and a variety of other rigorous safety tests. The 250-watt dual motors allow the Otto Hoverboard to climb 16-degree slopes and ride up to 10 miles on one charge. This board can power through tricky terrain and allows you to travel where you need to go with its unique self-balancing system and acceleration sensor. This hoverboard has 6.5-inch diameter wheels, LED headlights, and a battery life indicator. The strong frame can handle weights from 44 pounds to 225 pounds and is equipped with durable rubber foot mats to maintain contact between the rider and the hoverboard. The Bluetooth speaker on this board has fantastic sound quality and is very loud. Unlike a few Bluetooth speakers we have used in the past your phone stays connected no matter what. The tires are solid rubber and sturdy plastic to add durability and smoothness to your ride. The battery display is useful and gives an accurate depiction of how much battery life is left. We took the hoverboard up a slight incline and didn’t experience any issues with it feeling like it was slowly chugging beneath us like some other boards we tested out. Even if you ride the board down until the battery is completely gone the board stays cool to the touch and doesn’t jerk to a stop quite as hard as some others do. The Otto Hoverboard is so loud when you are on it, if you are going fast or riding on a very uneven surface then it is going to be the only thing you hear. When we were hooking it up to charge we felt a little jolt. We were divided on whether it was a shock, or just in our head because all of us tried it out and only some felt it. After about six weeks of us owning this the charging time got longer while the battery life got shorter. The Otto hoverboard was extremely touchy at times which made it difficult for us to use as transportation and easier to use as a high-tech toy. The manufacturer was very difficult for us to reach out to when we called to tell them about the large decreases in charging time. Another issue we had was a small crack in the frame even while in a protective case when the board flipped onto itself. Overall, the Otto Hoverboard does a great job at being a fun hoverboard to ride around on for fun but, if you are looking for a hoverboard as a serious means of transportation this may not be the right fit for you due to its touchiness. We found the frame to be flimsy so if you are clumsy or are purchasing your first board then this probably is not the right hoverboard for you. If you are looking to purchase a hoverboard and you have prior experience with riding one, then this boards budget price could be for you. If you are hunting for a hoverboard that will be an amusing toy for you to play around on that has loud speakers and a low price tag then this hoverboard is the one for you. The CHO Off-Road Self-Balancing Hoverboard is a UL 2272 safety certified hoverboard that comes with 6.5-inch off road tires that give this board all-terrain capabilities. The wheels are made up of steel frames and thick rubber tires to aid with superior traction. Not only is this board equipped to a vast variety of terrain, but it has a Bluetooth speaker allowing you to ride with the sound of your favorite toons. The CHO has a dual 350-watt motor to help it power forward, backward, and around while holding up to 265 pounds of weight. The CHO Hoverboard can climb inclines up to 17-degree slopes. This board has a fantastically brief charging time of less than two hours with the included charger. This hoverboard can reach speeds of up to eight and a half miles per hour and can travel up to thirteen miles on a single charge. This hoverboard comes equipped with both headlights and tail lights which are bright enough to illuminate the ground in front in front of you and convenient for riding at night. We love that the Bluetooth speaker has clear sound that is much louder than the sounds of the hoverboard even when moving very fast on uneven ground. While the board is average height we love its chunky frame that allows it to be more durable than another 6.5-inch wheel hoverboard that we tried it out. The wheels can withstand considerable amounts of weight and impact relatively well and have a good grip even on wet pavement and slick tile. We don’t recommend that you take this hoverboard “off-road,” it handled dense short grass well and patchy mostly-dirt areas even better, but it could not make it through a well-cared for lawn or extremely uneven ground. We attribute this board’s difficulties with off road movement to the short stature of the board and not the tires. Another issue is the loss of traction on a decline, you will go very fast downhill and may fall just like a few of us did. The placemats where you stand leave a lot to be desired, for example if its humid out and you step on the board with slightly damp shoes you may experience loss of traction taking away a lot of your control over the board. If your board is close to being out of battery be very careful because it will jerk to a stop unexpectedly. All-in-all, we love using the CHO Off-Road Self-Balancing Hoverboard because it has superior handling compared with other affordable hoverboards with the same features. While it is heavier than other boards it makes durable attainable even when you are on a budget. We recommend this hoverboard to anyone who is looking to get a hoverboard that can withstand damage from stumbles and falls but still features amazing sound quality from its Bluetooth speaker. While this board isn’t as “all-terrain” as we were hoping for it is better at handling grass, dirt, and uneven areas than most of the hoverboards we tested out. If you purchase the CHO Hoverboard you won’t be disappointed with its superior climbing abilities and sturdy frame. We recommend this board to you if you are rough on your stuff but still expect the best performance from it. The Self-Balancing Scooter Carrying Handbag Backpack is adequate to carry self-balancing hoverboards with wheels from 6.5 to 8 inches. 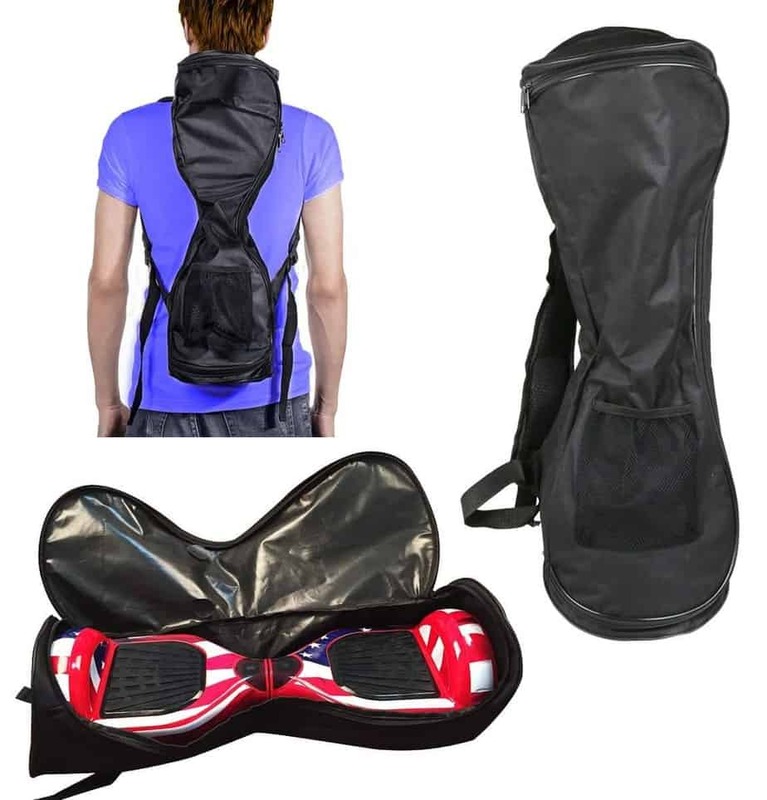 The bag is made from durable 1680D oxford material which is strong enough to carry your board anywhere. This bag includes waterproof lining to protect your hoverboard from all weather, the only thing it can’t do is be submerged in water completely. The two zippers allow for greater access and easier board storage. The mesh pocket is good to store your board’s charger, your wallet, or whatever else you want. While this bag supports many brands like Razor Hovertrax, SKQUE, and SOGO it is not limited to those and you can check your hoverboard measurements for compatibility. This bag can be carried as a handbag or a backpack for the most convenience. This bag can handle a surprising amount of abuse for its affordable price. Even when you are putting the bag to its limits with heavy and wide hoverboards it stays solid without wear and tear. The vibrant blue bag was the one we purchased and even though it got dirty relatively easy it was simple to wipe off. The zippers and the handles are sturdy and show no signs of weakness even though we have been using ours frequently for seven weeks now. This bag protected our board from the pouring rain even when we were stuck in it for three minutes at a bus stop. We would recommend this bag to anyone who has recently purchased a hoverboard of similar dimensions since it made carrying ours around a breeze. This eleven-ounce silicone case fits a balancing scooter with 6.5-inch diameter wheels. These silicon cases are affordable and come in twelve colors, so you can afford multiple of them for any day. This case wraps all the way around your board and ensures that all parts of your board are protected from shock, scratches, and water. This silicon case has a unique non-slip design to prevent it from interfering with you ride. This case won’t rub on your wheels if you have a 6.5-inch diameter hoverboard, and the longevity of these cases are superior to other’s like its kind. Unlike other silicon hoverboard cases these do not have any off-putting odors. The best part of these cases is that they’re affordable enough to change the aesthetics as much as you feel necessary. No matter how durable the frame of your hoverboard is, you’re going to want to protect it from scratches and dirt with a case and this is by far our favorite one. The Hoverboard Skin Case Cover Silicone Scratch Protector is amazingly affordable and effective. We find this cover to be great for boards with 6.5-inch diameter wheels to provide coverage and shock absorption from all 360-degrees with its quality silicon design. It was so easy for us to take this case off and put it back on and we didn’t break it or have any bubbles like normal skins would leave. These cases are the best of any silicon cases we have tried. Overall, it’s our favorite, it comes in a bunch of colors, and its affordable what more could you ask for? The HoverSeat XL Sitting Attachment is a great way to transform your hoverboard into a Go-Kart like experience. This light aluminum frame can easily fold up and fit into your car for easy travel. 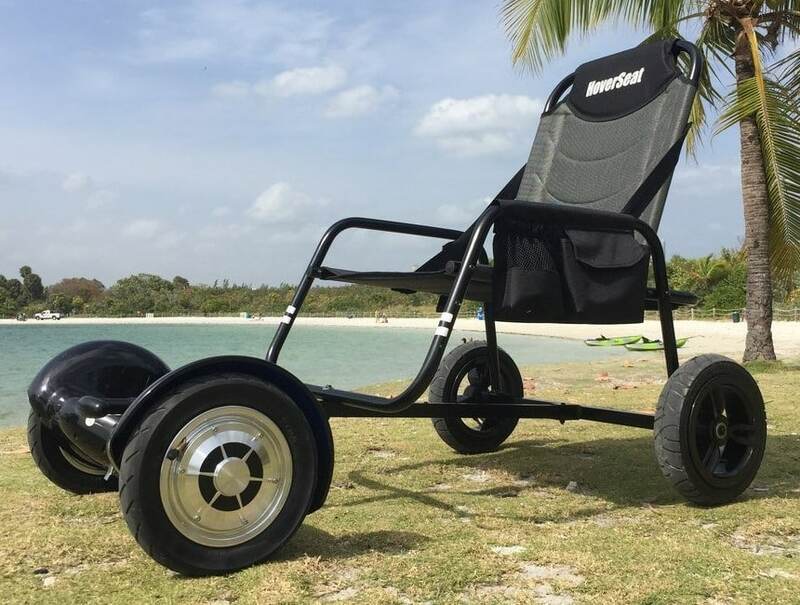 It is super easy to assemble the HoverSeat since all you need to do is attach it to your board, flip the back of the seat up and you’re ready to ride. The comfy sport seat has room to store your hoverboard bag and other items and includes a pouch right below the armrest for anything you need within your reach. The seat can adjust to your liking for maximum riding comfort. You can use the HoverSeat on gravel, grass, and packed sand alike steering with only your feet. The HoverSeat is powerful enough to for you, your bags, tools, even to pull a kayak with. The HoverSeat is fantastic if you want the convenience of a hoverboard without the possibility of falling since it allows you to sit not stand. We love the HoverSeat XL Attachment for our hoverboard, it was the best accessory we have ever purchased for our boards. You will have to recalibrate your board to get the most enjoyable experience out of the HoverSeat since it will be far more comfortable for your legs. The HoverSeat has minimal assembly required and it only took us thirteen minutes to put it together completely. This addition is only compatible with hoverboards that have a round center so be warned and make sure your variety can be used with the accessory. While the clamp isn’t the sturdiest feeling part of this accessory HoverSeat comes with a warranty that is sure to please. We find the HoverSeat to be the most user-friendly version of all the accessories that are like it with its lightweight and superior comfort. We recommend the HoverSeat because it will transform your hoverboard experience and it is the most high-quality seat accessory of its kind. The Critical Cycles Classic Commuter Sport Helmet is a modest design that is suitable for many sports, provides superior comfort, and ensures proper fit to your head no matter what you are doing. This helmet has ten vents giving air flow through your helmet to keep your head cool and comfy. The moisture wicking technology stops sweat keeping you dry and irritation free without creating an odor. 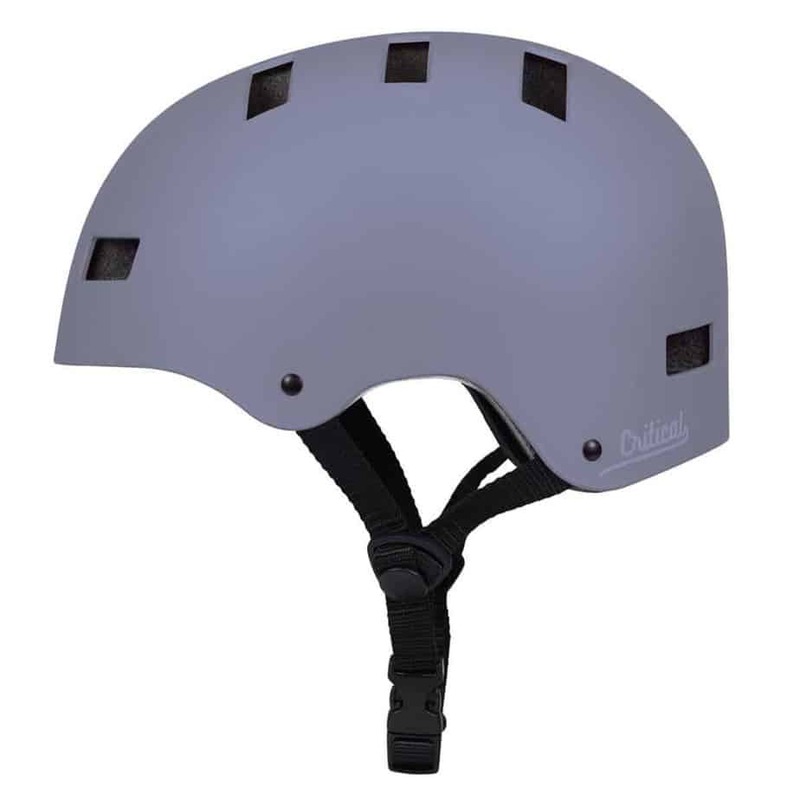 This helmet is size adjustable with the strap and circumference providing you with a perfect fit. This helmet has been subjected to safety tests and is certified CPSC 16 CFR Part 1203 for safety in America and Europe. The ABS provide unprecedented protection from impact shock using its high-quality EPS foam. We didn’t test this helmet out by falling on purpose, but accidents do happen, and it was nice to have the security of this helmet when learning how to use your hoverboard. Since hoverboards are greatly controlled by your body position it is almost impossible when we were learning to not stumble forward or back at times. This helmet is sturdy and the one unlucky individual of our team who did take a hard tumble said that their head didn’t hurt at all. We encourage you to take a second and measure your head before you place an order because the helmet would be very uncomfortable if it’s too tight. The woodgrain style was by far our favorite helmet because it is more stylish than other helmets we have seen. This helmet will be ideal if you are fourteen and over and are looking for a way to protect you head in style while learning to ride your hoverboard. 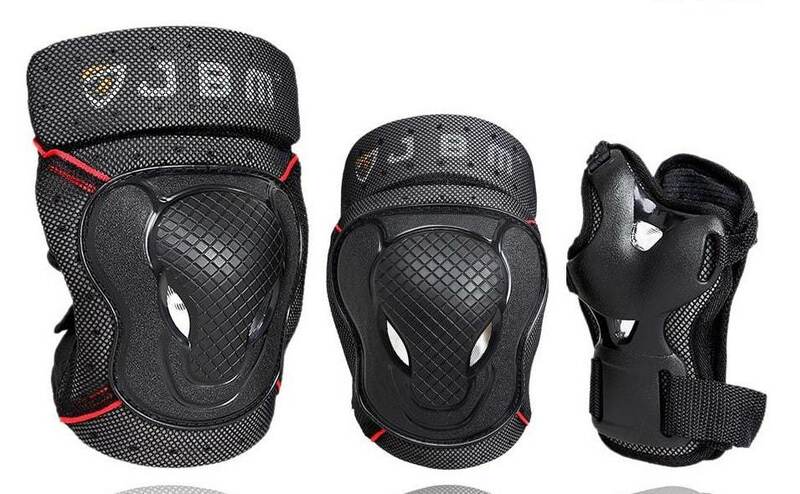 The JBM BMX Bike knee pads, elbow pads, and wrist guards are impact resistant and breathable. Made with polyester you can enjoy your hoverboard experience while staying safe and cool, especially when you are first learning. These size adjustable straps fit virtually all individuals and functions properly whether you choose to wear them looser or tight. These pads are made for adults who tend to push the limits of their skills harder than younger individuals. These shock absorbing pads will ensure you are protected when stumbles and falls happen off your new hoverboard. These sleek looking pads will keep you safe and in style. If you are looking for breathable protective gear for a great price, then these are meant for you. The JBM BMX Bike knee pads, elbow pads, and wrist guards are made with breathable polyester sleeves that allow air flow even though you are well protected. While it is always a little hotter to wear protective pads than to not, these pads are the best we have tried out for air flow. While we found the sizing to be a little off these pads once broken in can stretch to fit most adults. If you are above five-foot-eleven these pads may be too petite for you since our taller friend didn’t enjoy them as much as we did. These pads are the best for protection and airflow just ensure you take proper measurements before purchasing them. What is the purpose of a Hoverboard? While we haven’t reached the time in modern technology where hoverboards actually levitate above the ground (we wish) they are amazing toys and forms of transportation that take the electric scooter and Segway and merge the two. These “self-balancing” scooters contain advanced gyroscopes to keep balance, motors to power the wheels forward, back, and in a circle, batteries to energize the system, and microprocessors to monitor the power output to the motor. All this technology is compact and powerful enough to make your hoverboard entertaining for hours. Depending on why you are interested in a hoverboard will determine its purpose for you. If you are using the hoverboard for fun around your place, then you are not limited to where you can take it but if you are using it for transport you need to read up on the legalities in your neighborhood. For example, in New York City the police department warned of fines and penalties that can be imposed on anyone riding one in the streets. 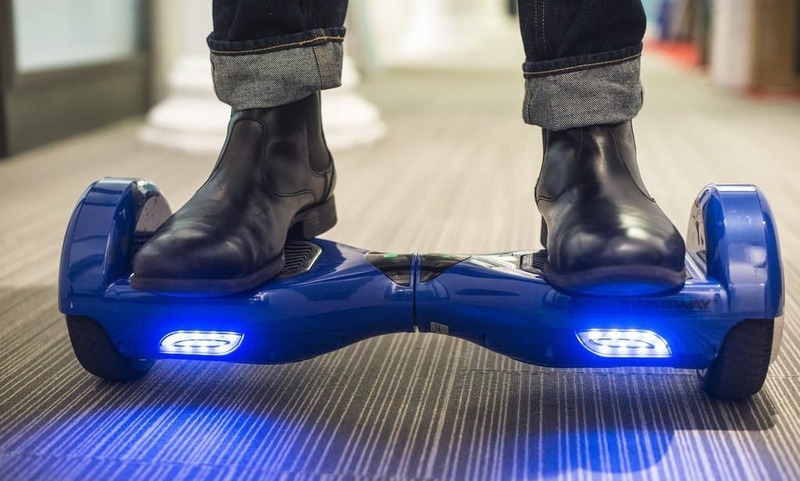 If you are reading this from the UK, then it is also illegal for you to ride a hoverboard on the sidewalks. We encourage you to ride your board as safely as possible and be sure to read up on the laws in your city before taking it for a spin in public. What does IP56 certification mean and why is it important? 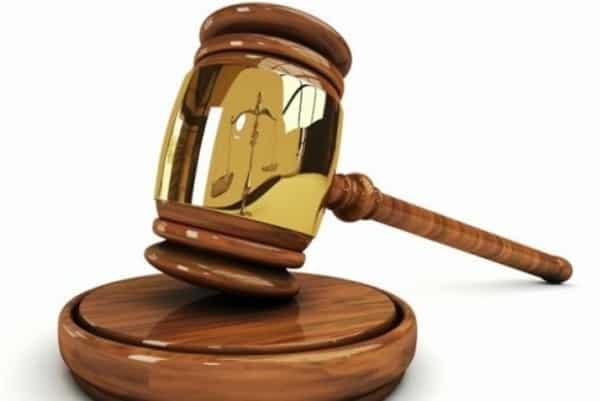 IP56 stands for international protection rating, the two digits and occasional letter are each symbolic of characteristics that the board has. The first digit can be numbered from zero to six and indicates how protected the potentially dangerous parts are from damage and interference by solid debris like dust. Zero rating for the first digit implies no protection in contrast to a six rating that implies complete protection from contact and dust. The second digit of the rating can be numbered from zero to eight indicates how protected the sensitive parts are from interference by liquid debris. Zero rating for the second digit also implies no protection in contrast to an eight rating which indicates that it is suitable for constant submersion up to three feet. The IP56 rating that a couple of our favorite hoverboards received indicates that the sensitive parts are protected enough, not entirely, from solid debris permeating the body. This permeation alone is not enough to harm the equipment since it is completely protected from contact. The six indicates that water sprayed from jets from any direction won’t have harmful effects on the important equipment inside. Not having this IP56 rating won’t be a deal breaker for most shopping for a hoverboard if it will not be used in rain, but if you are using it as a means of transport through puddles and slight rain then you need a board with this rating to guarantee your hoverboard has a long life. How do I Select A Hoverboard For My Kids? Most of what we covered was general knowledge for anyone purchasing a hoverboard, however, if you are shopping for a hoverboard specifically for kids there are a few extra things you will need to pay attention to. You will want to ensure the hoverboard is in fact self-balancing and has good rating for balance and no complaints of twitchiness. You will want to opt for rubber tires that can be used for soft and hard surfaces with resistance to wear. Your board for the kids needs to be UL2272 certified to ensure maximum safety guaranteed. The board needs to come with a training mode that will allow your kids to focus on learning the basics of using their hoverboard at a lower and controlled speed. The battery life is also important for your child since they will never want to get off their new hoverboard. Another important factor when picking a hoverboard is the aesthetics, boards for your kids must look cool. Whether you choose to get a hoverboard that has flashy LED lights or a board that is a slick color your kids will still be ecstatic, especially if you buy numerous colorful cases. The most important factor when selecting a board for your child is making them happy so be sure to figure out what your kiddo loves. Short Answer is it depends! We get asked this question hundreds of times "How much are the hover boards and what do they cost?" The price of a decent model ( excuse us if you call them A self-balancing two-wheeled board, or self-balancing electric scooter, or maybe even like my geeky mate call it "that portable, rechargeable battery-powered scooter") varies from ~50$ to in excess of ~1500$. Most retailers like Amazon, Best Buy usually offer significant discounts during holiday season sale, so keep an eye out to buy them for cheap. The Epikgo Sports Plus Balance Board is our top-quality pick because it is meant to be a well-built board that can be a consistent form of transportation. The Epikgo Sports Plus can reach speeds of up to twelve miles per hour which is much faster than many of the other hoverboards we tested out. Not only can the Epikgo Sports move fast but it can go up to twelve miles on a single charge. The dual 400-watt motors can power through tough terrain that stalls other hoverboards out. The self-balancing technology in this board makes it much easier to ride than other boards which makes it an ideal form of transportation for all. The Tomoloo has all the features that the Epikgo Sports Plus Balance Board but at a lower price. The Tomoloo can handle a weight of 265-pounds without decreasing in performance. This board can handle a 15-degree incline like an expert and maintains traction well. The LED lights give this board superior aesthetics to its competitors and the app allows you to change the lights to your liking. This board includes a fantastic twelve-month warranty for the wheel hub, motor, controller, battery and has a six-month warranty for the charger. Overall the Epikgo Sports Plus Hoverboard is the best on the market currently as a means of serious transportation that is guaranteed to have a long lifetime. We would prefer the Epikgo Sports Plus Hoverboard to the Tomoloo because it is not limited to sidewalk and roadway use and is truly an all-terrain vehicle. The additional half-inch to the 8.5-inch wheel of the Epikgo gives it a smoother ride than the 8-inch Tomoloo that is more limited in its abilities. While the Epikgo Sports Hoverboard beats out the Tomoloo for us it is important to consider what you need and can spend on your hoverboard before you purchase one. The Epikgo Sports Plus is a Balance Board designed for superior handling even on uneven ground making it more than just a toy like other boards. We are going to make a large claim here and say that the Epikgo Sports Plus Hoverboard will remain the top-quality pick of hoverboards for a while since just about every part of it from tires to frame is created with a superior level of quality. The 400-watt dual motor in the Epikgo makes it the most powerful hoverboard on the market. The Epikgo Sports Plus is IP56 rated for its solid form and water-resistant properties far more advanced than others. 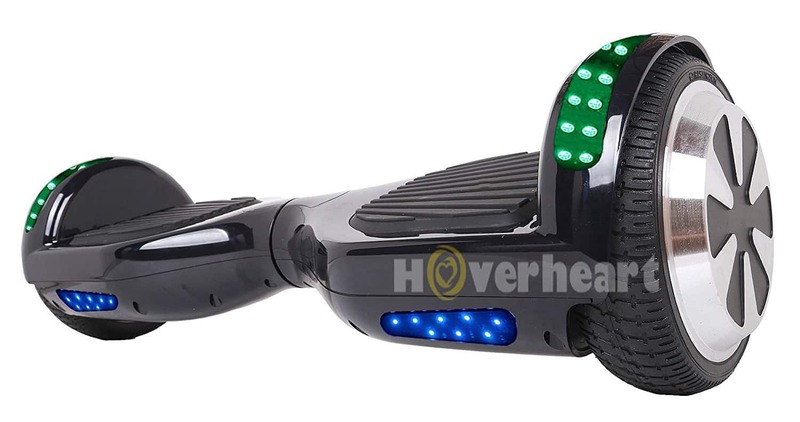 The Hoverheart Hoverboard Balance Board does have all the added features you may want in a hoverboard with Bluetooth speakers and LED lights while maintain its budget friendly price. The Hoverheart has superior aesthetics to many other boards of similar price, and the battery is better than many of similar price. We reached max speeds of 8.6mph outside on the concrete which was surprising since we have tried out others that are nearly identical that can only reach 6mph. For the price the Hoverheart is without a doubt the best value that delivers a quality experience. Overall, we can’t compare the Epikgo hoverboard to the Hoverheart hoverboard. The Epikgo is a Hoverboard that is meant to be useful for entertainment purposes and an alternative means of travel. The Hoverheart is a Hoverboard that is meant to be a fun toy, but it cannot be used in our opinion for serious travel. The Hoverheart has dual 200-watt motors that are powerful but only have a fraction of the power that the dual 400-watt motors with the Epikgo Sport Plus has. The 8.5-inch wheels of the Epikgo Sport Plus make it far superior at handling all-terrain than every other hoverboard we tried out, so unfortunately the Hoverheart fails to keep up. Out of all the boards we tested out, the Epikgo Sports Plus Hoverboard is the only one we would invest in for serious travel. 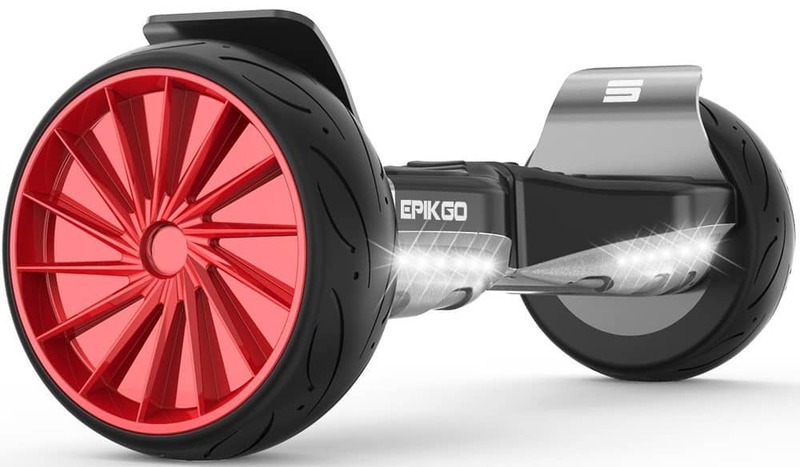 The Epikgo Sports Plus Hoverboard wheels have superior traction and handling on any surface and isn’t just limited to inside the house or on the sidewalk. The frame of the Epikgo Sports Plus Hoverboard is durable and resistant to scratches, cracks, and carries a heavy load without compromising the performance of the board. We love the larger than average foot area that the Epikgo Sports Plus provides to the user since it allows you more control, balance, and maneuverability than boards with smaller foot areas can give you. Some of the lower-priced boards have a briefer lifespan or shorter warranty than the Epikgo which is a lasting investment. We know that when you buy the Epikgo Sports Plus Hoverboard that you will get hours of enjoyment out of it and will ask yourself why you didn’t upgrade to this hoverboard sooner.